I am charmed and amused to note that I have somehow become the literal poster child for the 6th Annual Hamtramck Neighborhood Arts Festival. Spotted in the Art Detroit Now newsletter. 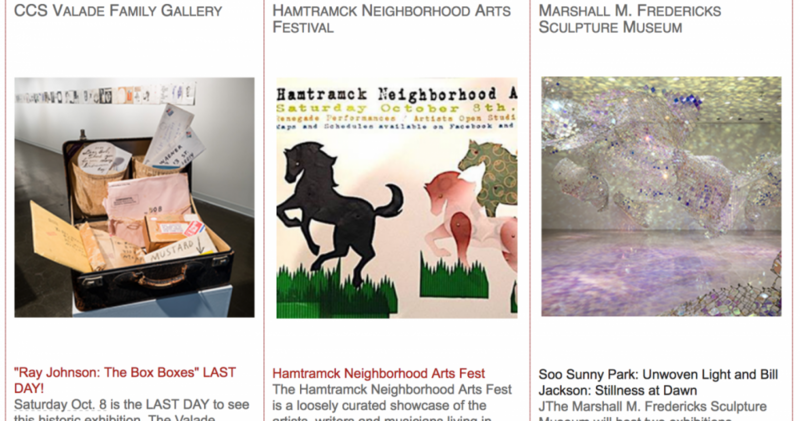 That amazing tableau of horses is my contribution to the ongoing tradition of asking local artists to make custom posters promoting the festival–which, if you’ve never attended, is a glorious romp through public and private art environs and great Hamtramck. I’m sorry to miss it this year, but obviously I’ll be there in spirit. You can read more about it in this handy preview I wrote for the Metro Times, or drop by any friendly Hamtramck art gallery on Saturday (or the kickoff brunch at Trixie’s Bar from 11:00-2:00) to get a map to set you on your way! 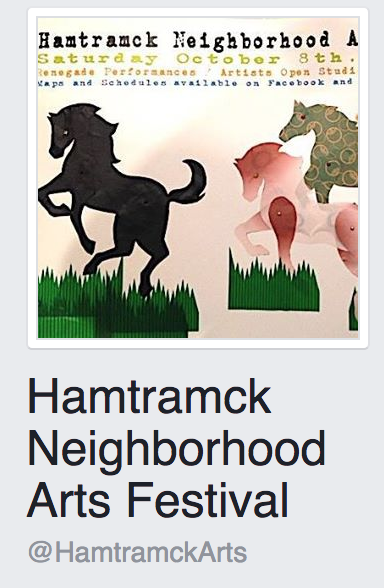 Have fun & run free in Hamtramck this weekend! p.s. If you love that poster, you will likely have an opportunity to bid on it in the silent auction that helps raise funds to keep the festival going.